If you love playing soccer, you’ll definitely want to get a great pair of soccer cleats. Doing this might seem like a waste of money especially if you just play several times a month, but you have to realize that it’s actually worth every penny. The right cleats provide the right amount of traction, which means your feet can grip the ground without slowing you down. As a result, you’ll avoid the injuries caused by slipping and falling, and you’ll maintain your speed and have excellent performance. 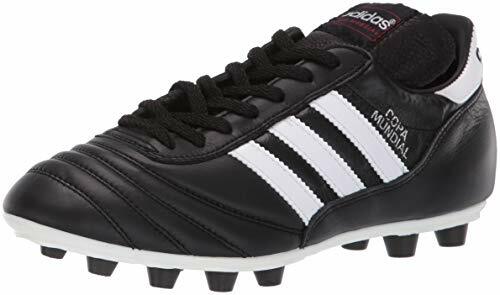 Soccer cleats are specially designed to let you feel the ball with the sides of your feet, so you have full control over the ball even when you’re not directly looking at it. Having great ball control is important since it allows you to determine the direction you should kick the ball to as well as the angle and amount of force you need to use — all in a matter of seconds. The right pair of cleats also protect your feet during the game. They’re designed to cushion your feet, ankles, and even knees from impact, minimizing injuries from other cleats and preventing your feet from getting too tired. As a result, you can stay in good shape throughout the entire game and score as many goals as possible. When shopping around for soccer cleats, you’ll encounter a wide range of options. This isn’t really surprising since cleats are categorized according to the type of ground you’re usually playing on, such as firm ground (natural grass fields), soft round (waterlogged fields or those that get drenched in rain), and hard ground (for artificial playing surfaces). Of course, they’re available in hundreds of colorsways, materials, and designs. 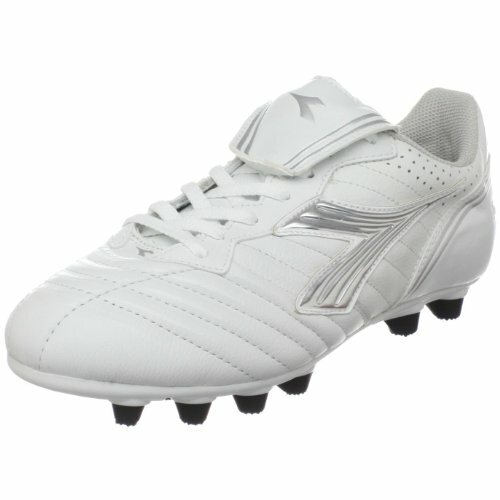 So, to find the perfect pair, you need to do some research to know which soccer cleats are ideal for your needs. You can start by browsing through this guide. There are lots of brands in the men’s soccer cleats market, so you’ll be spoiled for choice when shopping for a pair. To make things easier for you, we’ve listed some of the best options below. Just because you’re on a tight budget doesn’t mean you can’t have decent soccer cleats. 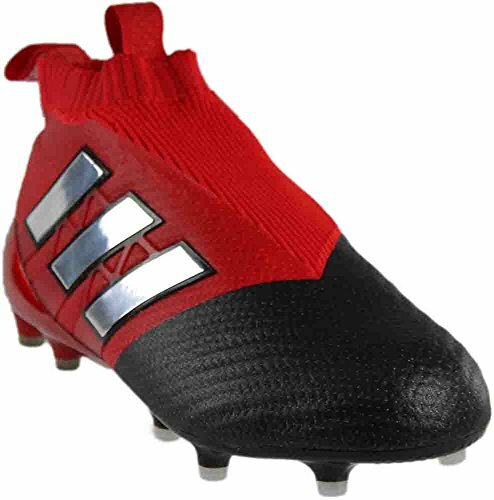 By buying a pair of Adidas Performance Men’s Ace 17.3 Primemesh FG Soccer Shoes, you’ll get a pair of high-quality shoes without spending a fortune. These shoes are meant to be worn on firm ground, especially on long-bladed synthetic fiber artificial grass that’s first-gen and second-gen. They’re designed to provide you with precise ball control, excellent stability, and great overall on-field performance. The Adidas Performance Men’s Ace 17.3 Primemesh FG Soccer Shoes have a Primemesh upper, which promote breathability and comfort, along with an ultra-thin film that prevents water and debris from entering your cleats. The upper is made of a combination of specially engineered Primeknit zones to help improve pure control between your foot and the ball. These special zones also apply different levels of compression to help provide the best fit and stability available. A secondary internal TechFit knited support system provides a lockdown fit for the foot, while also providing lateral stability. A PrimeCut collar cuts off around the base of the ankle, providing an incredible sock-like fit. An upgraded Ground Control 2.0 outsole is enhanced by a SprintFrame construction. This helps to provide a perfect balance between lightweight performance, ball control, and traction on FG and AG surfaces. 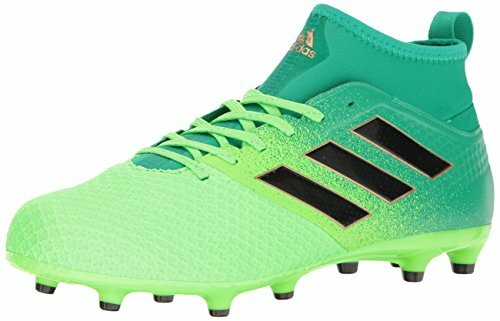 If money isn’t an issue for you, why not invest in a pair of Adidas Men’s ACE 17+ PURECONTROL FG Soccer Cleats? These cutting-edge shoes come with Non Stop Grip (NSG), which is essentially a layer of raised dots on the upper that makes the ball stay on your feet. This, along with the shoes’ knit forefoot, gives you better control over the ball and ensure it goes where you want it to go. 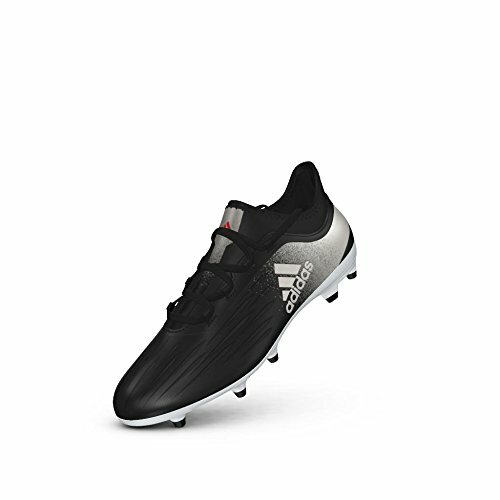 The cleats are made of proprietary Primeknit upper, which provide lighweight comfort while giving your feet the support and flexibility they need. The upper is laceless, so there’s no need to mess around with laces and worry that they’ll come undone in the middle of the game. The outsole is made of SPRINTFRAME, which lets you enjoy dependable stability even when you’re running at high speeds. 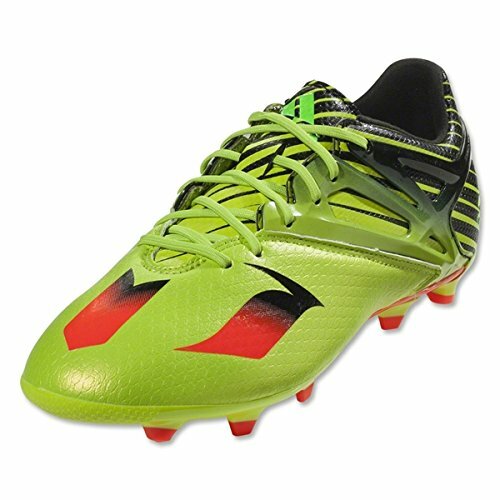 Are you looking for cleats that have a simple look, excellent performance, and a reasonable price? 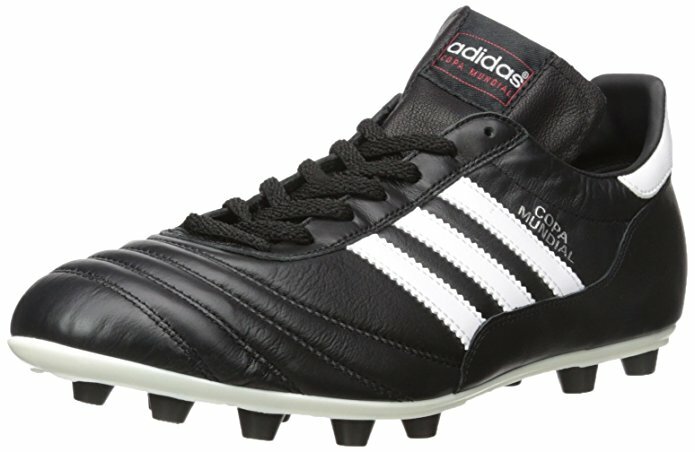 If you are, you’ll want to check out the Adidas Performance Men’s Copa Mundial Soccer Shoes. They come with a durable outsole that makes them great on firm ground as well as a die-cute insole made of EVA to keep the shoes light and comfortable. The upper is made of soft, lightweight, full-grain leather that allows you to have great performance on the field while giving you a sleek and stylish look. The cleats come with traditional laces, which is great if you prefer lace-up shoes to laceless ones. They also have synthetic lining that further adds to the cleats’ overall comfort and help you avoid developing blisters during the game. Just like with regular shoes, women’s soccer shoes come in a multitude of styles, colors, and materials that it can be hard to choose the right pair. It’s important to learn about soccer needs and playing habits to know which cleats best suit you. 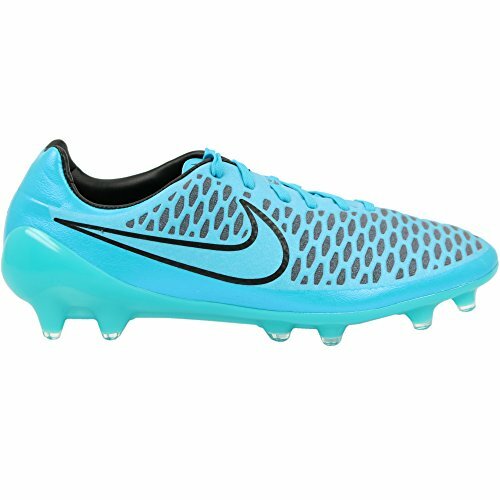 Start by browsing through some of the high-quality cleats we’ve listed below. This pair won’t break the bank, but it can help you improve your athletic performance. They’re made of a techfit compression upper that’s designed to perfectly mold to your feet as soon as you wear them, which means you won’t have to break them in and you can wear them to a game right out of the box. They feature a sock construction, which provides a snug fit and ensures your cleats won’t slip out of your feet when you run and make high-speed movements. Take note that these shoes come with a firm ground outsole, which means they’re best worn on dry, natural grass. Bust out your explosive, high-speed moves without having to worry that you’ll lose traction. 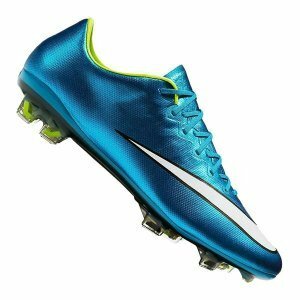 If you’re looking for the best shoes that money can buy, consider getting the Nike Women Mercurial Vapor X FG Soccer Cleats. They come with a lightweight tie-in upper, which has modern micro texture plus a seamless design that protects your feet while giving you excellent ball control. The cleats’ midsole, meanwhile, is made of perforated sockliner that’s paired with synthetic top cloth, while the outsole is a compressed nylon chassis that stretches out to the shoe’s full length and has direct-inject TPU studs. Just take note that the Nike Women Mercurial Vapor X FG Soccer Cleats are designed for firm ground games, and you’re ready to go. We love the Diadora Women’s Scudetto LT MD PU Soccer Cleats because they have great quality and promote excellent speed and performance without costing too much. They’re built with a soft, full-grain leather that’s water-resistant and protects your feet without affecting your speed. They also come with anti-slip and anti-stretch rear liner that provides the perfect fit and contributes to the shoes’ overall stability. The shoes’ outsole is made of molded density polyurethane (MD PU) and comes with 12 cleats, while the insole features cotton as well as shock-absorbing EVA foam for excellent comfort. The extended foldover tongue, on the other hand, helps you score more by providing you with a reliable strike surface. Kids need the exercise that soccer gives to stay fit and healthy, but they also need the right pair of cleats that will support their growing bones and muscles without hindering their performance. Here are some of the best options for children’s soccer cleats. Even if you’re on a limited budget, you can still get your kid a great pair of cleats by opting for this product. It’s built with an external 3D cage that provides overall stability even when your child is moving at high speeds, along with a skeleton outsole that promotes agility and fast movement. The shoes are made of synthetic upper that have a soft feel as well as 3D texture that lets your kid feel the ball. The best thing about this material is that it promotes ball control just like leather but doesn’t attract water, so the wearer’s feet stays dry and comfortable. The cleats are highly flexible in terms of usage: your child can wear them whether he’s playing on firm, natural ground or artificial grass. If you have a bigger budget, we recommend the Nike Magista Opus Firm Ground cleats. It comes with Nike’s Kanga-Lite upper, which is highly supple and molds to your child’s feet for optimum comfort. Beneath Kanga-Lite is a mesh layer that promotes breathability and helps his feet stay dry and comfortable throughout the game. The sockliner is made of contoured, die-cut EVA form that increases the shoes’ overall comfort level, while its nylon chassis is paired with a Pebax base that gives your kid ultimate support along with a responsive feel. The Nike Magista Opus Firm Ground cleats can be used on both dry and wet conditions, making them highly flexible. Specifically, they’re great for fields with short grass and are slightly wet, not thoroughly muddy. What we like about these cleats is that they offer great quality without being too pricey for your wallet. They’re built a lightweight nylon plate that’s designed to mirror the shape of your child’s feet and comes with a stud configuration that’s state-of-the-art. The plate features embossed horizontal ridges on the upper that promote better ball awareness and control and help your kid make more goals. The Nike Kids’ Jr. Mercurial Vapor XI CR7 FG Soccer Cleats come with a low-profile toe box that make it easier for your child to get his foot under the ball, and they have special anti-skid top cloth that grip his feet, increase in-boot traction, and provide better overall stability. Finding the right pair of soccer cleats doesn’t have to be difficult! By knowing what your needs are, you can easily choose the perfect pair that matches your requirements as well as your budget.